Saying it will "change the future of television," Google on Thursday rolled out Google TV - the internet giant's venture into web-TV integration. 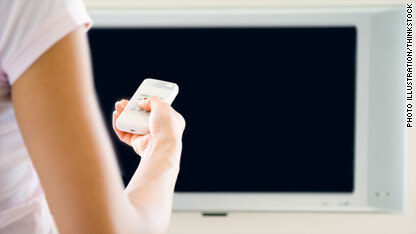 The application, run by Google's Android operating system, lets users search for content from their television, DVR and the web. Even as sites like Google-owned YouTube have increasingly emerged as viable entertainment options, the move is a nod to a basic truth of leisure time. "There's still not a better medium to reach a wider and broader audience than television," said Google project director Rishi Chandra. The platform will let users search for content, from the name of a TV show to the name of a network, in much the same way a Google search works. They'll get results from TV and the web and be able to watch either on their TV screen. "Videos should be consumed on the biggest, best, brightest screen in your house," Chandra said. "That's your TV." You do have a number of useful ideas on this site. It's a well written article I now have bookmarked for future reference. Have a great day. Somebody necessarily help to make seriously posts I might state. That is the very first time I frequented your website page and up to now? I surprised with the analysis you made to make this actual submit amazing. Great task! great issues altogether, you simply won a logo new reader. What might you recommend in regards to your post that you just made a few days in the past? Any sure?